Summer starts: If June didn't exist, Hollywood would have to invent it. June's the month that delivers the jolt that jumpstarts the summer boxoffice. Kids are finally out of school. Adults start taking vacation time. Families are getting away for some summer fun. And moviegoing is a big part of how all that leisure time gets carved up and enjoyed. Although June doesn't have any four-day holiday weekends of its own, it's bookended by two major moviegoing holidays – Memorial Day to end May and July Fourth to kick off July. Last weekend saw two high profile Memorial Day openings that will be selling tickets throughout June. $80 million for four days. Starring are: Jennifer Lawrence, Michael Fassbender and Olivia Munn. "Apocalypse" did about $55 million internationally last weekend, bringing its international cume to about $186 million and its global cume to about $266 million. The franchise's last episode, "Future Past," opened May 23, 2014 to $110.6 million for the four day Memorial Day weekend, and did $233.9 million domestically. Walt Disney Pictures and Roth Films' PG rated 3D fantasy family adventure "Alice Through the Looking Glass" finished second with $34.2 million for four days. Disney said Sunday that "Glass" did $65 million for the three day weekend internationally, bringing its global cume through Monday to $99 million-plus. "It opened day and date across 72 percent of the international market including Italy, Germany, Spain, UK, Russia, Australia, China, Brazil, and Mexico," Disney noted. "Key markets not opening this weekend include France (June 1), Japan (July 1), and Korea (Sept. 8)." Directed by James Bobin ("Muppets Most Wanted"), "Glass" is also from producer Tim Burton, who directed the first "Alice in Wonderland" franchise episode. Starring are Mia Wasikowska) as Alice and Johnny Depp as the Mad Hatter. The original "Alice" opened Mar. 5, 2010 to $116.1 million and did $334.2 million domestically. Here's a quick look at the wide releases that will be competing for moviegoers' time and money over the next four weeks. June 3-5: Three wide releases will hit multiplexes the first weekend in June. Paramount Pictures and Nickelodeon Movies' PG-13 rated 3D fantasy action adventure comedy "Teenage Mutant Ninja Turtles: Out of the Shadows," opening at about 3,800 theatres, is directed by Dave Green ("Earth to Echo"). One of its producers is Michael Bay, who produced the rebooted series' first episode "Teenage Mutant Ninja Turtles" and is producer-director of the "Transformers" franchise. It should play best to younger men. Megan Fox, Stephen Amell and Alan Ritchson star in this new episode as the Turtles return to save New York from an invasion led by the Dimension X inhabitant Krang (voiced by Brad Garrett). The first reboot episode, "TMNT," opened Aug. 8, 2014 to $65.6 million and did $191.2 million domestically. New Line Cinema and MGM's PG-13 rated drama "Me Before You," opening at about 2,500 theatres, is from first time feature director Thea Sharrock and stars Emilia Clarke, Sam Claflin and Janet McTeer. It should play best to adult women. (Clark) and a recently paralyzed man (Clafin) she's now looking after. Universal Pictures and Apatow Productions' R rated comedy with music "Popstar: Never Stop Never Stopping," opening at about 2,200 theatres, is directed by Akiva Schaffer ("The Watch") & Jorma Taccone ("MacGruber") and stars Andy Samberg, Imogen Poots and Bill Hader. It should play best to younger men. Samberg plays pop star Conner4Real, whose celebrity life is tanking after his latest album fizzles. About the only thing he won't do to reboot his career is team up again with The Style Boyz, his old group. 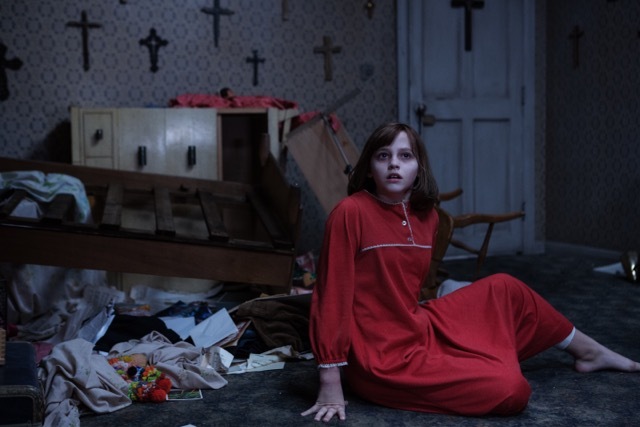 JUNE 10-12: Warner Bros., New Line Cinema and RatPac-Dune Entertainment's R rated horror thriller "The Conjuring 2" is from "The Conjuring" director James Wan. Like most horror films, it should play well to younger women, but it could also attract adult women. Vera Farmiga and Patrick Wilson star as Lorraine and Ed Warren, who, in one of their most terrifying paranormal investigations, travel to northern London to help a single mom raising four children in a house plagued by malicious spirits. The original "Conjuring" opened July 19, 2013 to $41.9 million and did $137.4 million domestically. The PG-13 rated 3D action adventure "Warcraft" is from Universal, Legendary Pictures, Atlas Entertainment and Blizzard Entertainment. Directed by Duncan Jones ("Source Code"), it's based on Blizzard's blockbuster video games and novels franchise. Starring are: Travis Fimmel, Paula Patton and Ben Foster. It should play best to male moviegoers. In "Warcraft," the peaceful realm of Azeroth is on the brink of war, facing fearsome invaders -- Orc warriors fleeing their dying home to colonize another. As a portal opens to connect these two worlds, one army faces destruction while the other could see extinction. Lionsgate and Summit Entertainment's PG-13 rated action comedy thriller "Now You See Me 2" is directed by Jon M. Chu ("G.I. Joe: Retaliation") and stars Lizzy Caplan, Dave Franco and Daniel Radcliffe. It should play best to male moviegoers. The first episode in the "NYSM" franchise opened May 31, 2013 to $29.4 million and did $117.7 million domestically. In the sequel, a year after outwitting the FBI and winning public approval through their Robin Hood-style magic spectacles, The Four Horsemen resurface for a comeback performance, hoping to expose a tech magnate's unethical practices. The man behind their vanishing act is Walter Mabry (Radcliffe), a tech prodigy who threatens the Horsemen to get them to pull off their most impossible heist yet. Their only hope of clearing their names is to pull off one last amazing stunt and reveal the mastermind behind it all. JUNE 17-19: Walt Disney Pictures and PIXAR Animation Studios' PG rated 3D animated comedy adventure "Finding Dory" is from "Finding Nemo" director Andrew Stanton and first time feature director Angus MacLane. It should play best to families. The franchise's first episode, "Nemo," opened in 2D May 30, 2003 to $70.3 million and did $339.7 million domestically. It was re-issued in 3D Sept. 14, 2012, opening to $16.7 million. Its re-issue cume of $41.1 million brought its domestic cume to $380.8 million. 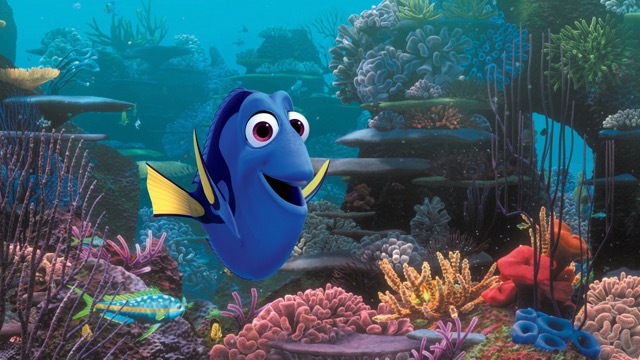 In the sequel, Dory (voiced by Ellen DeGeneres) is living happily in the reef with Nemo (Hayden Rolence) and Marlin (Albert Brooks) when she suddenly remembers she has a family out there who may be looking for her. That thought sparks a life-changing adventure for the trio as they cross the ocean to California’s Marine Life Institute, trying to find Dory's mom (Diane Keaton) and dad (Eugene Levy). Warner Bros., New Line Cinema and Universal's PG-13 rated comedy "Central Intelligence" is from "We're the Millers" director Rawson Marshall Thurber. It should play best to male moviegoers. Dwayne Johnson plays Bob, a one-time geek who's now a lethal CIA agent returning for his high school reunion. Bob enlists help on a top-secret case from Calvin (Kevin Hart), a former "big man on campus" who's now an accountant who really misses his high school glory days. Before Calvin realizes what he's getting into, Bob puts him into a world of shoot-outs, double-crosses and espionage that could get them both killed. JUNE 24-26: 20th Century Fox's 3D sci-fi action adventure "Independence Day: Resurgence" is from "Independence Day" director Rolland Emmerich and stars Liam Hemsworth, Jeff Goldblum and Bill Pullman. It should play best to male moviegoers. The original "Independence Day" opened Wed., July 3, 1996 to $50.2 million for the three day weekend and a five day cume of $96.1 million. It did $306.2 million domestically. In the new episode, the nations of Earth have used recovered alien technology to build an immense defense program. But nothing can prepare Earth for the aliens' advanced and unprecedented force. Only a few brave men and women's ingenuity can bring our world back from the brink of extinction. STX Entertainment's biographical action drama "Free State of Jones" is directed by Gary Ross ("The Hunger Games" and stars Matthew McConaughey, Keri Russell and Gugu Mbatha-Raw. Set during the Civil War, it's the story of defiant Southern farmer, Newt Knight (McConaughey), and his armed rebellion against the Confederacy. Banding together with other small farmers and local slaves, Knight launches an uprising leading to Jones County, Mississippi seceding from the Confederacy, thereby creating a Free State of Jones. Knight continues his struggle into Reconstruction, making him a compelling and controversial figure of defiance long after the War ends. Bottom line: The domestic boxoffice is up about 5 percent through last weekend versus this time last year, according to comScore. June should keep boxoffice momentum going with its mix of male appeal action adventures and the sequel to an animated family classic that's a likely magnet for moms-with-kids.